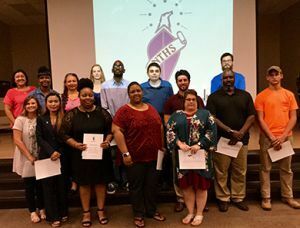 Seventy-four Pensacola State College students were inducted into the National Technical Honor Society (NTHS) during a ceremony held Thursday, Sept. 6, in the Student Center. Inductees were Wei Anderson, Chloe Andrews, Patricia Andrews-Dixon, JennieLou Bachmeier, Amanda Baker, Shannon Ball, Penny Banda, Abigail Barr, Melanie Bish, Lindsey Blanton, Tori Brandgard, Christopher Brock, Evelyn Brown, Bradley Bunch, Katherine Burgos-Lopez, Virginia Burton, Aron Byrd, Anternett Campbell, Brooke Catchot, Ashley Catrun, Zachary Chavers, Elizabeth Coburn, Melissa Douglas, Jackie Erickson, Jaelyn Falewitch, Hannah Flint, Michelle Flores, Pamela Fontaine, Heather Fox, Carole Funderburk, Katherine Gaskill, Courtney Green, Brandon Hargis, Lina Heath, Andrew Hennard, Calvin Johnson, Lindsay Johnen, Kristen Kelly, Kirsten Kirkland, Giang Le, Brooke Lewis, Ashley Lombardi, Jacqueline Long, James Maisberger, Rebecca Maltais, Gerald Manning, Christopher Matrone, Jamie McClure, Isabella McGorran, Gena Medley, David Miller, Jason Nelson, James Norris, Ebony Pharr, Daryl Pierce, Orin Powell, Elisa Ramirez, Allyson Richter, Janais Anttonette Roman, Josiah Smith, Brandon Steed, Scott Stevens, Amanda Stores, Kristina Swanson, Diana Tate, Zachary Thomas, Holly Thyng, Thu Vo, Heather Wallis, Jaylan White, Khaliah Williams, Carol Williams, Christopher Worley and Christina Zaccardi. Fifteen of the 74 inductees were able to attend the ceremony. Established in 1984, the NTHS honors the achievements of top Career Technical Education students and provides scholarships to encourage the pursuit of higher education. (James) Norris also was the recipient of a $1,000 Jon H. Poteat Scholarship from the organization. 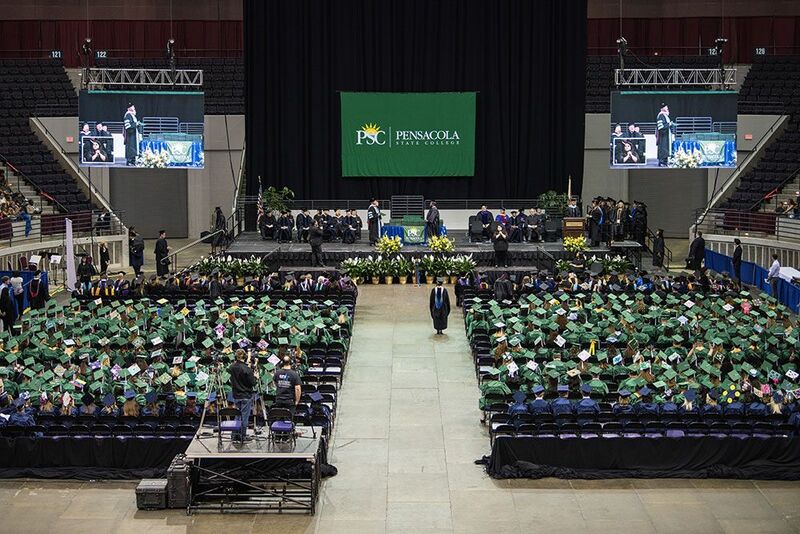 The Jon H. Poteat Scholarship is the society’s largest scholarship fund – in April 2017, $225,000 was awarded through the scholarship fund. Overall, the NTHS has awarded more than $1.7 million in scholarships to date. Administrators, family and friends turned out for the induction ceremony. Pensacola State President Ed Meadows congratulated the inductees and encouraged them to get involved with SkillsUSA and HOSA organizations. “Success Favors the Prepared Mind” is the motto of the society which has approximately 100,000 active members, and nearly a million members since its inception. Today NTHS serves more than 3,800 member-schools(secondary and post-secondary) and has a footprint in all 50 states. Chapters also are expanding into the Bahamas, American Samoa, Puerto Rico and Guam.